MARK Bristow, CEO of Barrick Gold, said the firm’s hostile takeover bid for Newmont Mining may have been conducive to creating a platform for talks over a joint venture between the two firm’s Nevada operations. In an interview with Bloomberg News, Bristow said: “Historically, these opportunities are very difficult to exploit in a static scenario”. He added that the joint venture agreement that eventually materialised offered investors much less “gristle” to chew through than a full-blown merger. 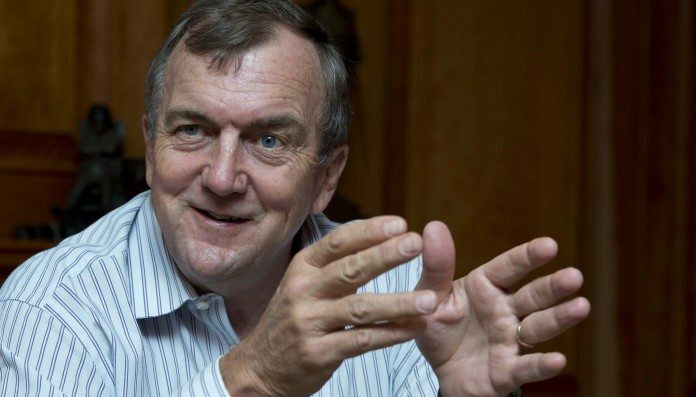 Barrick Gold on March 11 abandoned a merger proposal of February 25 with Newmont Mining in favour of the joint venture over their respective Nevada gold mines in which the two companies will attempt to extract $500m a year in synergies. Shareholders in both companies agreed this was the better outcome than the previously mooted $18bn takeover – which Newmont rejected. “It’s not about being the biggest or acquiring the next big competitor,” Simon Jaeger, a portfolio manager at Flossbach von Storch, one of the top five shareholders in both companies told Bloomberg News. “It’s really about increasing the shareholder value-thought that was clearly lacking in the industry,” he said. Bristow told Bloomberg News in an earlier interview that he thought he may have started “a trend”.